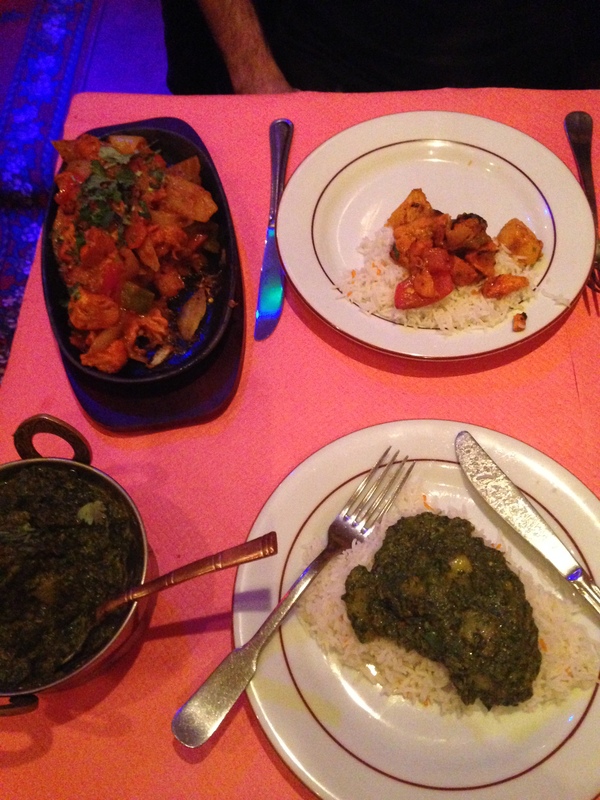 I had never had Indian food before coming to Paris, and I was hesitant to try it. All the spices and smells scared me. I went to a restaurant in the 18eme and it was good but didn’t blow me away. A few weeks ago, I discovered a place right near Porte D’Orleans…AMAZING! 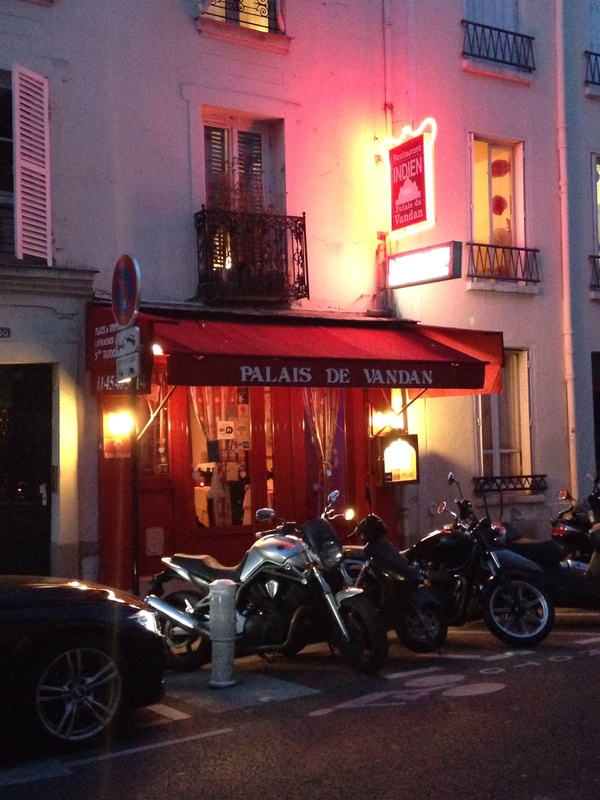 It is called Palais de Vandan, and it was sooo good, I went back a week later. The servers were extremely friendly and suggested amazing plates for my boyfriend and I to have. I’m a vegetarian and they had an entire vegetarian menu, so it was very nice to have so many choices. 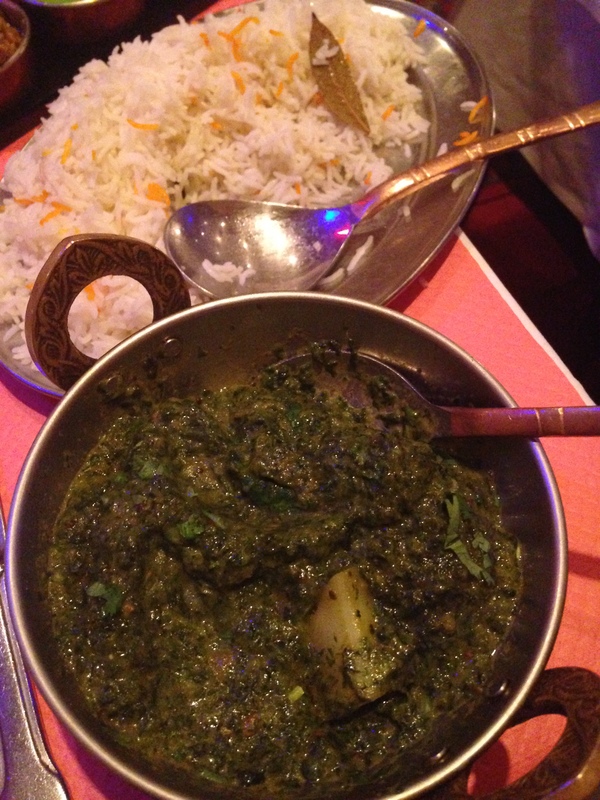 I chose the “Aloo Palak”, which was spinach curry with potatoes. That with the saffron rice was seriously one of the best dishes I’ve ever had. My boyfriend had the “Murg Tawa”, one of the grilled plates with chicken and he loved it. We used La Forchette and got 50% off when we both got an entree and plate, so our bill was less than €20! Such an amazing deal. Already thinking about the next time I will go!